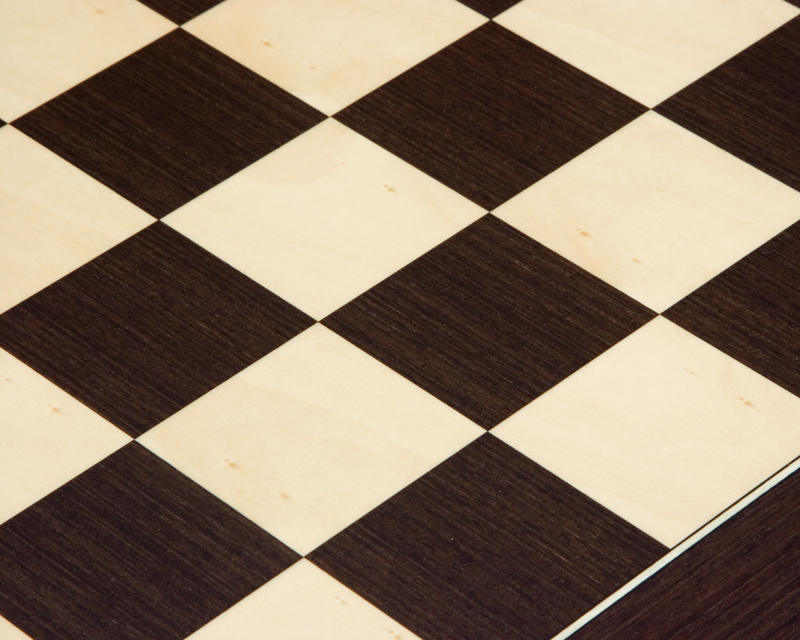 Wenge grain is geometrically parallel and rich in dark tones - well suited to modern interiors. 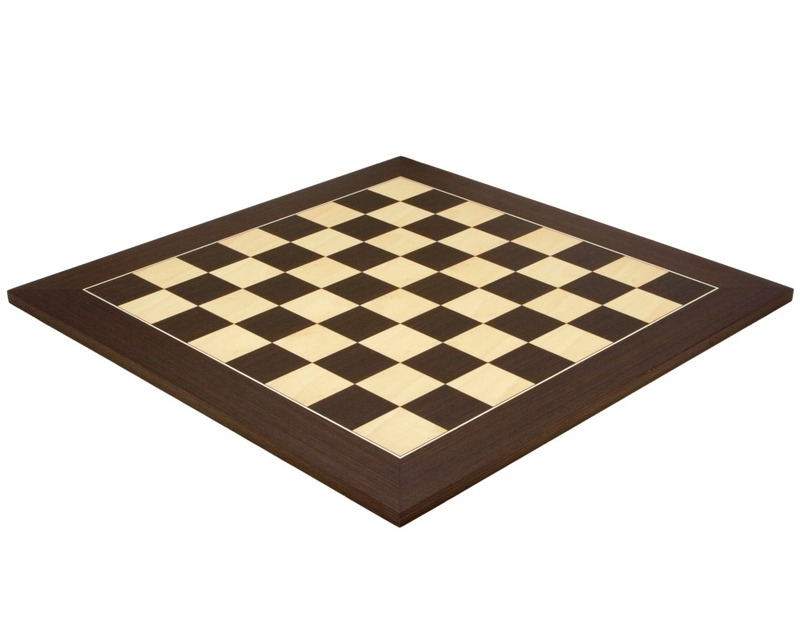 This superb quality large chess board is produced by prestigious chess board maker Rechapados Ferrer S.A. of Spain. 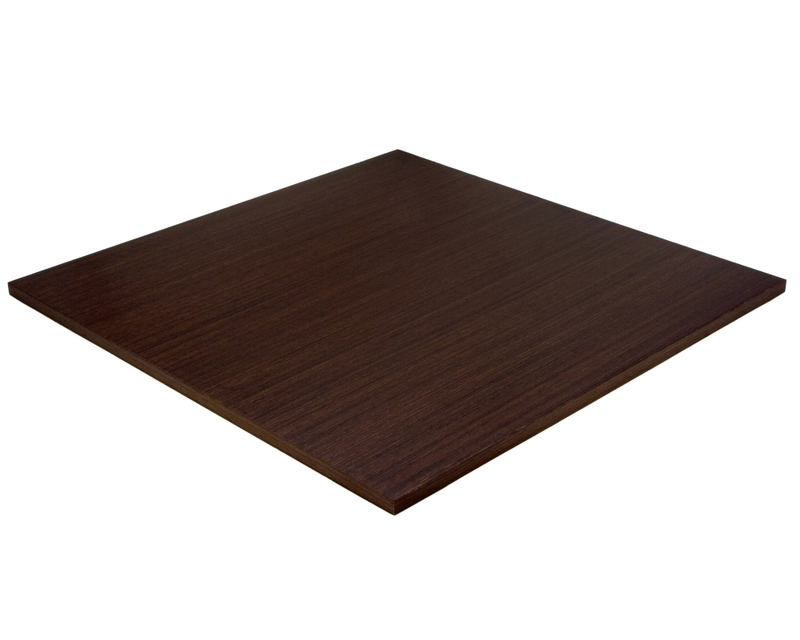 High grade wenge and maple veneered construction is used throughout, including on the board's base. Up to date fabrication techniques are used, presenting a board with contemporary lines and critical detailing. 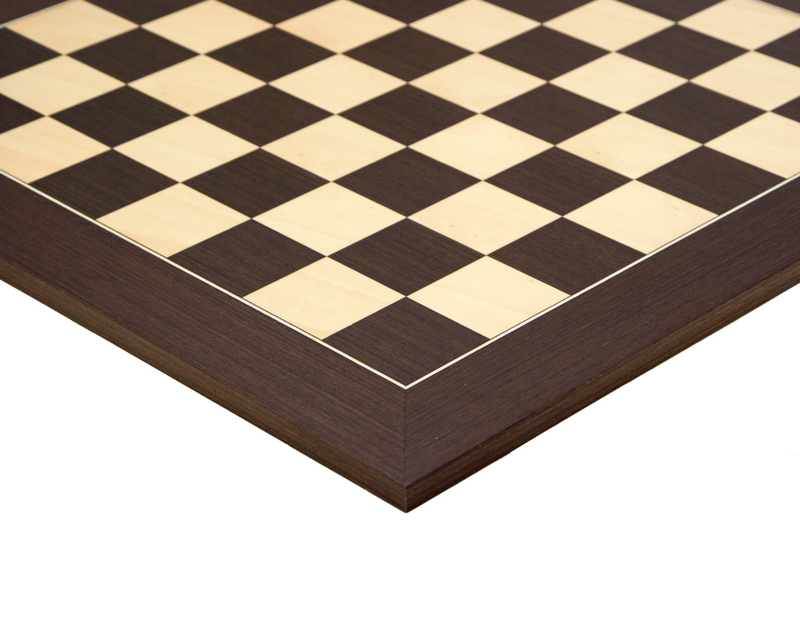 This board is very contemporary in design and is perfect for accompanying chess pieces with 3.75 inch (95 mm) kings.